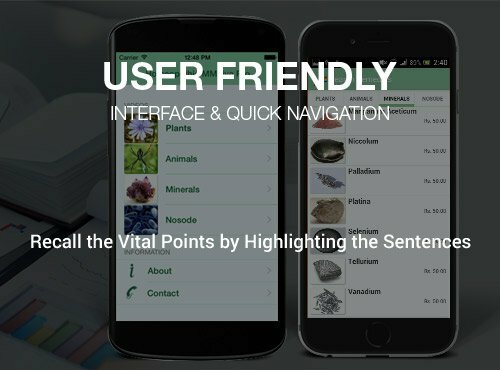 Materia Medica Live Mobile App is World's 1st multi-media presentation app for Homoeopathy Remedies to learn homeopathic materia medica. It is a novel way of understanding each homeopathic remedy, wherein the user feels the remedy coming alive in front of him/her! This makes the visualisation of a similimum easier when the patient is in front of you! 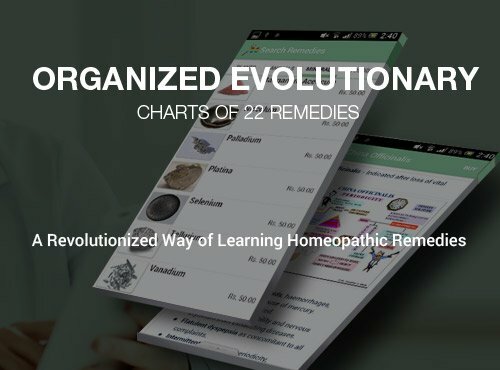 The Mobile app has Organized Evolutionary Charts of 22 Remedies in the form of videos for easy and quick understanding of homeopathic remedies. More Freedom, More Knowledge – It’s All Here. 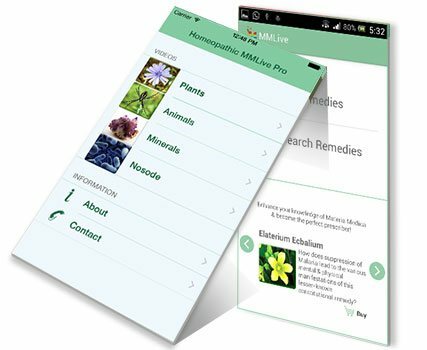 MM Live Mobile App helps you stay in touch with Materia Medica while on go. 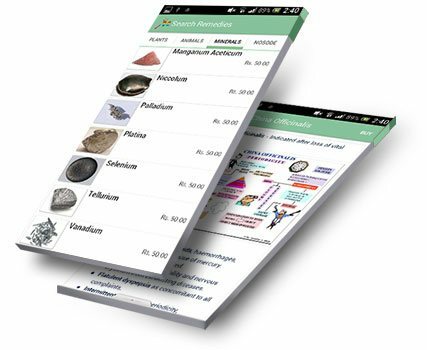 Forget carrying heavy books for study, a simple mobile app with you wherever you are. Seek diverse approaches to homeopathy materia medica. Perceive a case more easily and understands deeper aspects of deep-acting constitutional remedies. 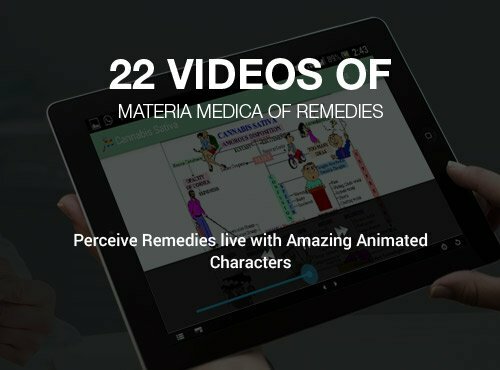 Materia Medica Live Mobile App gives you untethered access to your practice by eye appealing presentations of 22 remedy pictures to memorize in an easy and interactive manner. Faster and Evidence-based information at finger tips. Homeopathic Clinical Tips Mobile App is built on physician’s observation, interpretation and experiences in various clinical conditions. 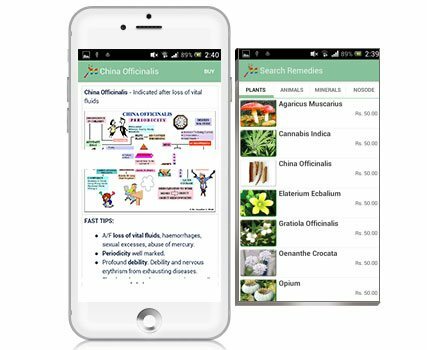 Materia Medica Live Mobile App has organized charts on evolution and characteristics of following 22 materia medica remedies. 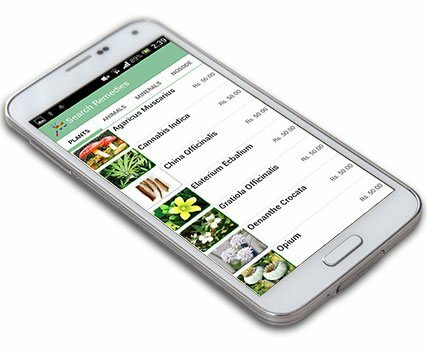 Explore Homeopathy Materia Medica Live Mobile App Features & Add-ons. Charts depicting the evolution of a remedy. A Unique Approach to Learn Practical Materia Medica- Let the Remedy Come Alive in Front of Your Eyes! Understand Each Remedy. See it Live. Your device should have following basic system configurations to run Materia Medica Live Mobile App . 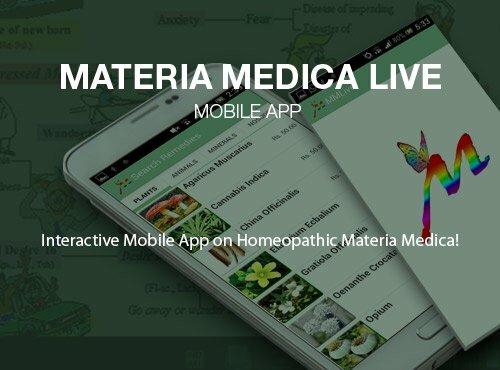 Download Materia Medica Live Mobile App Now!